WHAT ARE BREADBOARD AND PRINTED CIRCUIT BOARD? 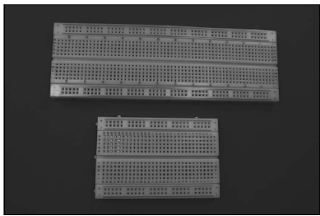 A breadboard is a rectangular plastic box filled with holes, which have contacts in which you can insert electronic components and wires. A breadboard is what you use to string together a temporary version of your circuit. You don’t have to solder wires or anything else; instead, you poke your components and wires into the little contact holes arranged in rows and connected by lines of metal; then you can connect your components together with wires to form your circuit. The nice thing about breadboards is that you can change your mind and replace or rearrange components as you like. You typically create an electronics project on a breadboard to make sure that everything works. If it’s a project you wish to save, you can create a more permanent version. If you want to create a permanent version of your circuit, you need to create a soldered or printed circuit board; see the sidebar, “Printed circuit boards,” to find out how to go about that. If you create a circuit on a breadboard and decide that it’s worthy of immortality, you can make it permanent by soldering components in place on a printed circuit board. To do this, you have to get your hands on a universal printed circuit board. This is much like a breadboard except that you can solder all the connections you’ve made to keep them around. 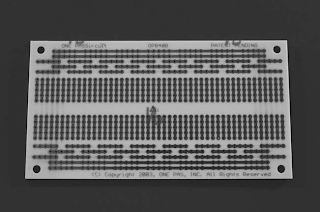 A universal printed circuit board has rows of individual holes throughout the board with copper pads around each hole and metal lines connecting the holes in each row, like in a breadboard. You mount parts on the face of the board and then pass leads through holes to the components. You can solder the leads to the copper pads on the bottom of the board. metal lines. 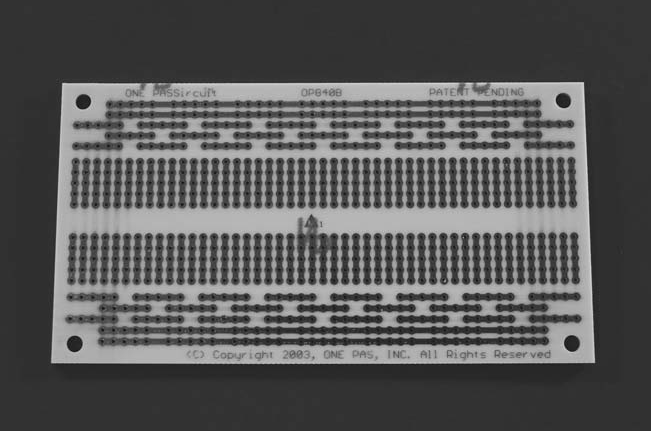 The figure here shows one we like because there are rows on either side that accommodate discrete components handily. You can get custom printed circuit boards made for your circuit; this is typically done by submitting a drawing of your circuit to a printed circuit board company. These boards eliminate the need to solder jumper wires between components. This is one of the most incredible blogs Ive read in a very long time. The amount of information in here is stunning,Great stuff; please keep it up!